The order was given and we were on our way. When we arrived at our new destination, five ton trucks loaded with 5 gallon jerry cans of fuel were awaiting us. Our driver unloaded a few cans and took them to our APC to fuel us up before we got on our way. When we arrived at the staging area we were exhausted. All the APCs sat, idling, waiting for the command to shut down. Once the APCs were silenced, the enemy could not pick out a single target by sound. 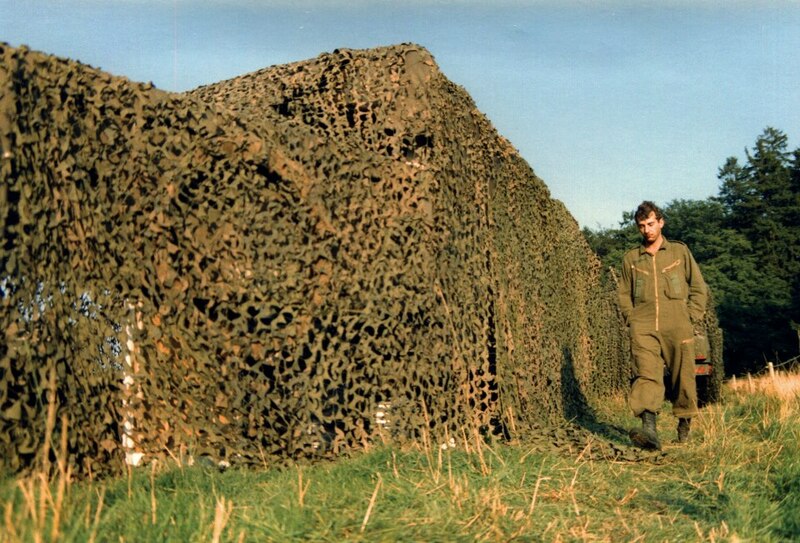 The first thing we did was to take out the camouflage nets and put them over the APCs. A pole was wedged upright on the top of the APC and the net draped over it. It was essential to break up the shape of the vehicle to keep it from prying eyes. 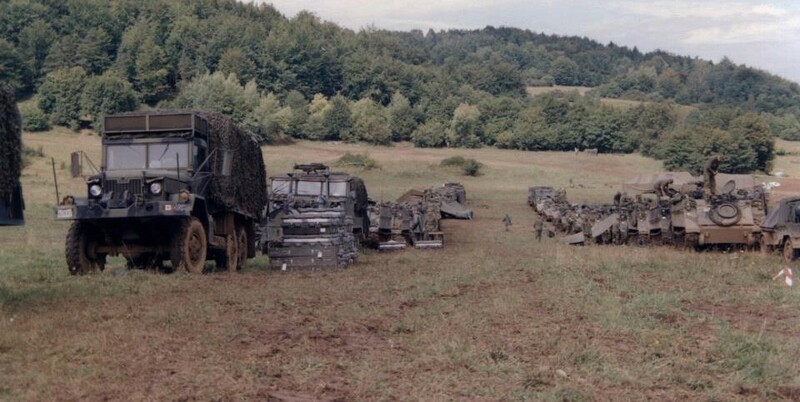 APC covered with a camouflage net (Photo by Brian Watters). It was one of those lovely fall days with the sun beaming down and about 70F degrees in the shade. As luck would have it, we were camped in the middle of a German farmer’s apple orchard. Being that it was September the apple cider was being made. We watched as they wheeled the old press out to the field. This thing must have been a hundred years old. All it consisted of was a barrel with a spigot at the bottom. The apples, fresh picked from the trees, and all the half rotten ones on the ground were gathered up. No sense wasting! They were loaded in the barrel and then a top was placed on it. The top which was attached to a large screw apparatus was tightened down, crushing the apples and producing a clouded liquid. The farmer brought us some to drink and, for that, we were grateful. It tasted marvelous! We had been in our hot metal boxes for the last 6 hours with nothing to drink but tepid water in small rationed amount. It is amazing how you cannot taste the rotten apples in the cider once they are mixed with the freshly picked ones. Our officer rudely interrupted our cider tasting to inform us that our mission was to set up an ambush on the following day. The Blue Team was our designated enemy. It was working in this area and it was our job to attack them. We were told to get some rest since tomorrow was going to be a long day. Early the next morning, at about 04:00, we were awakened by the guard. Time to crawl out of our warm sleeping bags. A quick cup of coffee, black and strong, and a cold ration and we were on our way. We left some soldiers behind as security to protect our precious vehicles, the rest of us took our weapons and, in a tactical formation, walked to the ambush area. Once we got to our designated area, we sat down to wait while our officer and two NCOs went out on a reconnaissance patrol (Recce). They searched until they found the ambush set up point and then moved the troops forward to our final destination. ‘A laager’ – a defensive encampment encircled by armored vehicles. 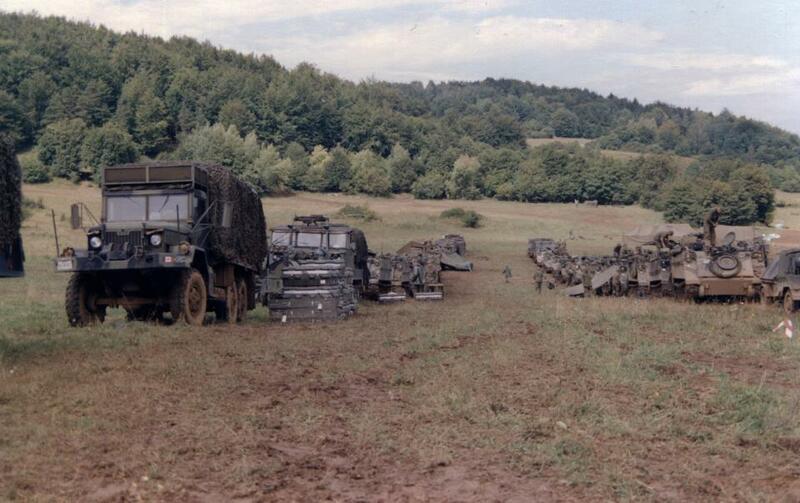 The type of area we left our vehicles when we carried out the ambush (Photo by Brian Watters). The ambush was set up on a road coming down a small hill. The road made a curve followed by a 35 meter stretch followed by a second curve. One group of soldiers was sent ahead and positioned after the second curve. These 9 men were to act as cut off and were ordered to kill anything coming down the path. Another group was positioned at the beginning of the straight stretch to act as a cut off from behind with the same mandate. In the 35 meter straight stretch, between the curves, was what is called the “kill zone”. I was positioned in the kill zone with the third group where we set up our rifles and automatic weapons. 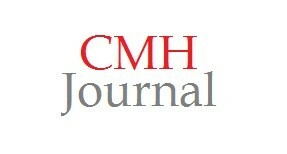 The idea was simple but extremely effective. The first group let the enemy soldiers pass unhindered until they were in the kill zone. At that time the soldiers in the center would start shooting. Anyone who ran down the road would be caught by the forward cut off group and anyone who ran back up the road would be caught by the rear cut off group. Both sides of the road were mined with anti personnel mines so the soldiers could not leave the road. Done properly, nobody should get out of this alive. The ambush was set. Now all we could do was wait. In this case the blue team was another company of our own infantry. Since we had all been trained the same way it made for an interesting game. 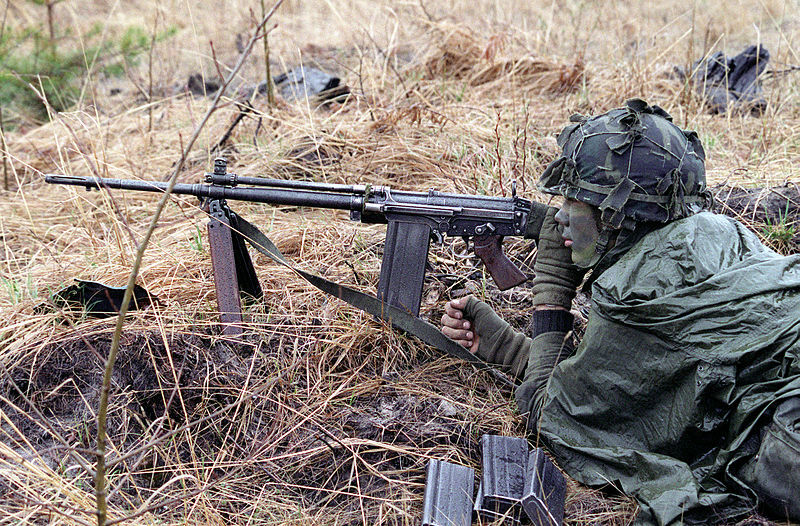 Canadian soldier waiting in ambush with C2 light machine gun. Note extra magazines of ammo ready for use (Wikimedia Commons). Lying on the hard ground for hours without moving may seem like an easy task but it gets old very quickly. Rocks you did not know were there when you laid down started to push up into your rib cage and the muscles in your legs. No talking, no smoking, no eating, no drinking. Your legs start to cramp and your back is itchy but you cannot scratch it. No telling who is watching or from where. The sun beats down on you and it makes you sweaty and uncomfortable. Alternatively, if it rains, you are soaked to the skin. Then there is the small issue of insects. Mosquitoes draining your life blood out and no way to escape. After about 4 hours of lying in wait, we finally saw him. It was just about dusk and the scout was slowly working his way down the road, carefully checking for danger. He knew it was his responsibility to keep the patrol safe. About 10 feet behind him was a second scout carrying a radio. They were moving cautiously, checking around. They were well aware that this was a perfect place to be ambushed. I saw the first scout stop and kneel down, sweat was running down his face. A hand signal to the second scout which was then passed on down to the main group. The whole vanguard or forward element halted and took up defensive positions while the rear-guard simply stood and waited. Some slouched against trees close to the road to give their bodies a moment’s rest. I laid there, wondering if we had been spotted. What had they seen that made them stop the line of troops following them? Had someone moved or made a noise which would have alerted the scout to our presence? He knelt there for a moment, sniffing the air like an old hound dog, knowing in his mind something was wrong but he could not figure out what. He could not see anything and nothing seemed out of place. In a moment he was up, signaling the others to move forward. They too were on their way to practice the art of warfare and had a schedule to keep. The trap was about to be sprung. 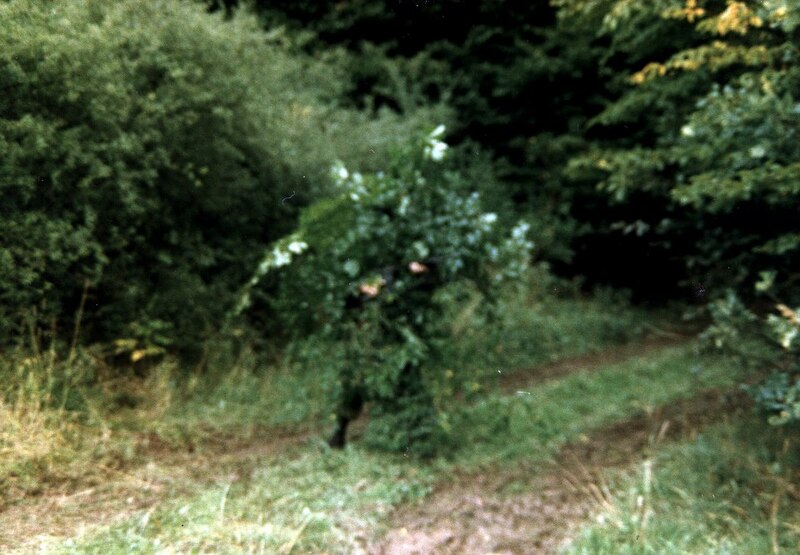 A Canadian soldier in camouflage made of fresh cut bushes getting ready to set up an ambush (Photo by Brian Watters). We let the scouts and the first part of the group of soldiers go through unhindered. Once the main body of the group was in our line of fire in the kill zone, the signal was given by our officer to start shooting. Blanks and thunder flashes flew through the air. Some soldiers on the road kneeled and returned fire as they had been taught to do and others charged us. In a real battle, they would have done little damage to our group. After a few minutes of fighting, the order to cease fire was given and the referees came down to assess the results. We had done a near perfect ambush and no one from the blue team had escaped. Later on, the results of the ambush would be dissected and gone over in great detail by Officers and Senior NCOs to see what lessons could be learned by both sides. 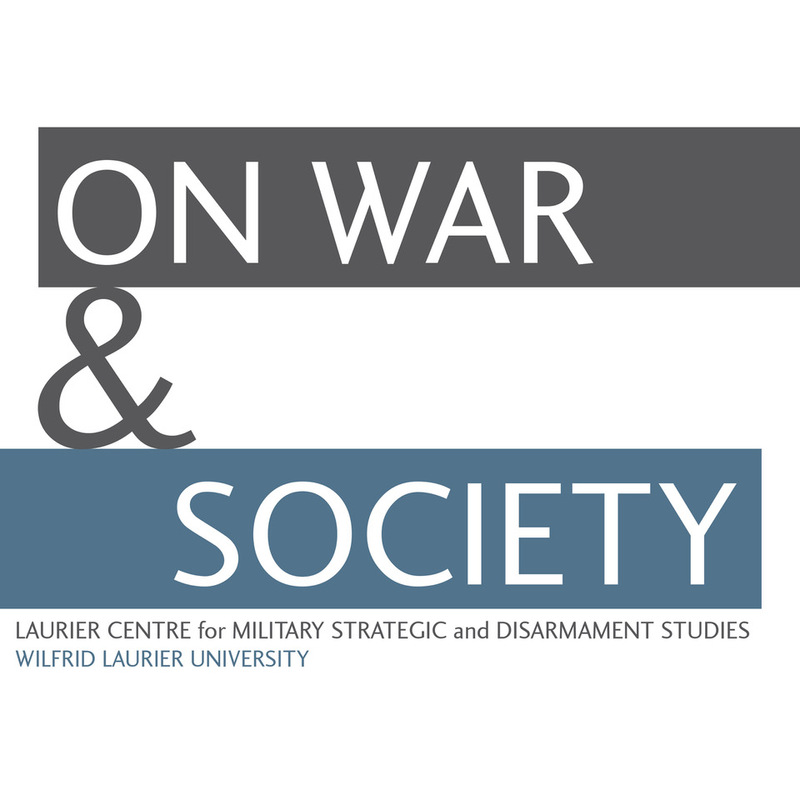 Changes would be implemented in how patrols were carried out and soldiers trained. This would save lives in a real wartime operation and that was all that mattered. Not to make things to easy on us, the referees had also decided that we had two wounded soldiers. As we prepared to return to our bivouac these two soldiers had to be carried. One more duty for our group of dog tired soldiers to perform before we were allowed any rest. Hi Frank,I was over there 1977-79,I remember those exercises well I was with 3 RCR until 79 that year I remusteres to the INT branch. We must have know each other then, are you on facebook? Hi Frank ! Nice pics and narrative but you say that its in the seventies but the second pic has an MLVW which came into service in 1983 if i remember !